Schedule your Smart service today! Smart is more than just a car brand. Drivers appreciate its compact size and ease of operability. And it is the ideal electric vehicle for those who want greater mobility when navigating dense, urban areas. Hollenshade’s Auto Service has a long history of honest, professional car repair and maintenance. 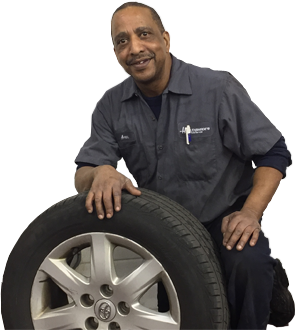 We have been serving the auto needs of drivers in Towson, Maryland since 1939. Expect quality workmanship and an accurate estimate for your Smart car here. A dead battery will keep you stranded on the side of the road or prevent you from leaving your house. Schedule a free battery check with us today. We keep your car running smoothly with our battery, charging, and starting services. We offer the best price guarantee for battery installation; rest assured that you’ll find a new one that meets Smart specifications here. It helps to think of your car’s belts and hoses as arteries, carrying life-sustaining coolant to the different parts of your car. But over time, these belts and hoses can crack, swell, or burst, putting your vehicle at a greater risk of a breakdown. Drive with confidence and schedule a belt and hose replacement service in Towson, MD. Our preventative maintenance services will keep your Smart running properly for the years to come. Every two years, registered vehicles in Towson, Maryland need to go through the Vehicle Emissions Inspection Program. The initiative aims to reduce emissions that contribute to the state’s problem of ground-level ozone. If your Smart fails these tests, take your car to Hollenshade’s Auto Service for an emissions repair and maintenance service. We identify the cause of failure and perform the needed repairs. Your car’s electrical system is made up of different components, which include the battery, starter, and alternator. These parts work together to power up your vehicle and other essential components. Our ASE-certified mechanics conduct accurate electrical system repairs in Towson, Maryland, identifying issues with your Smart’s electrical system with speed. Our auto repair shop offers the best value in car repair. Car owners in Towson, Maryland choose us because of our commitment to getting to the job done right the first time. We make scheduling a service convenient for you. Fill out our website appointment form today.